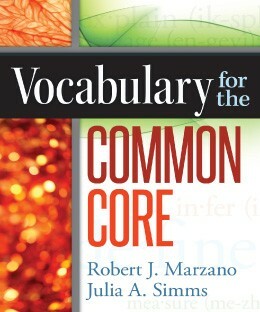 The Common Core State Standards present unique demands on students' ability to learn vocabulary and teachers' ability to teach it. The authors address these challenges in this resource. Work toward the creation of a successful vocabulary program, guided by both academic and content-area terms taken directly from the mathematics and English language arts standards. 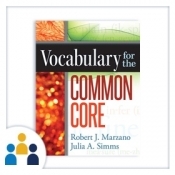 Learn to incorporate CCSS vocabulary into teaching and student learning. Recognize the impact that quality vocabulary instruction can make on reading ability, mental process, and academic achievement. Understand how students learn vocabulary. Make academic and content-area terms from the CCSS relevant to students. Create a system of assessment that tracks students' progress with CCSS vocabulary.